 An illustrated popular history that attempts to demystify the often enigmatic, feared, and misunderstood Ottoman Empire. Historian Wheatcroft (Univ. of Sterling in Scotland) begins with Mehmet's taking of Constantinople in 1453 and ends with Ataturk and the founding of modern Turkey after the First World War. Wheatcroft claims that the Ottomans are still largely reviled, a legacy of the Cruel Turk of legend (and indeed of fact). But this view seems somewhat dated now. His book doesn't contain anything startlingly new as far as the ``inner life'' of the Ottomans is concerned, nor is this culture ``shamefully neglected,'' as claimed. However, that life is perennially fascinating to the West, and Wheatcroft's evenhanded, urbane approach is admirably gripping, especially when recounting the great dramas of Ottoman history: the crushing of the Janissaries by the reforming sultan Mahmud in 1826, the agonizing and unsuccessful siege of Vienna in 1529 (with its fascinating account of Ottoman siege techniques), and the endless palace coups ending in ``the silken cord,'' the execution by strangulation reserved for the nobility. We see both Ottoman strengths (a huge military machine capable of massive deployments) and weaknesses (imperviousness to change, corruption, and the volatility of court politics rooted in the Yeni Saray, the palace built by Mehmet to which the harem was later moved). 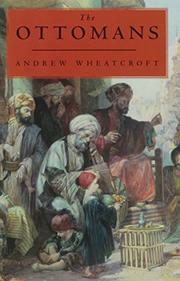 Wheatcroft explains the intricate hierarchies of Ottoman life and shows how the West created an image of its most formidable enemy by turns picturesquely orientalizing, as in Craig's picture of a pipe- smoking pasha having a petitioner grovel under his foot, and grimly factual, as in Mayer's 1800 picture of an Ottoman road flanked by the impaled corpses of criminals. Wheatcroft's contention that Ottomanism is a ``state of mind'' that has survived in the Middle East is less easy to verify. He has, though, drawn up a readable and colorful portrait of a complex history.